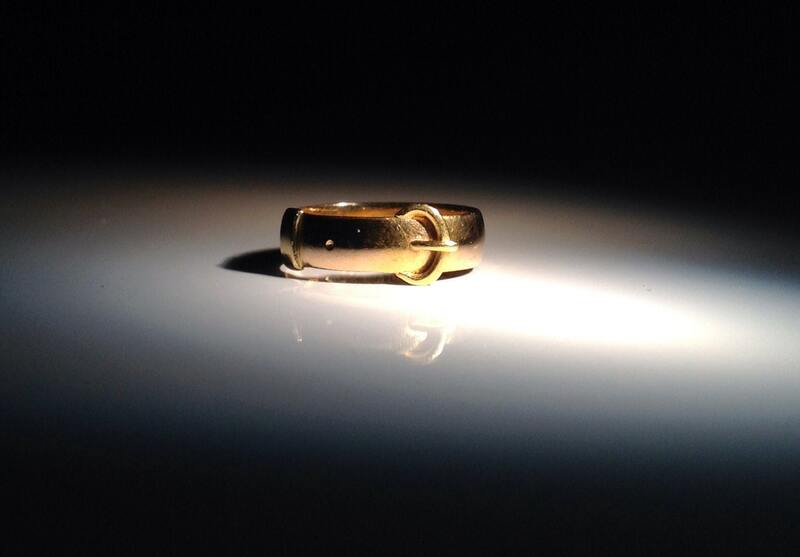 For sale here is a rare 1850's English 22K gold buckle ring. 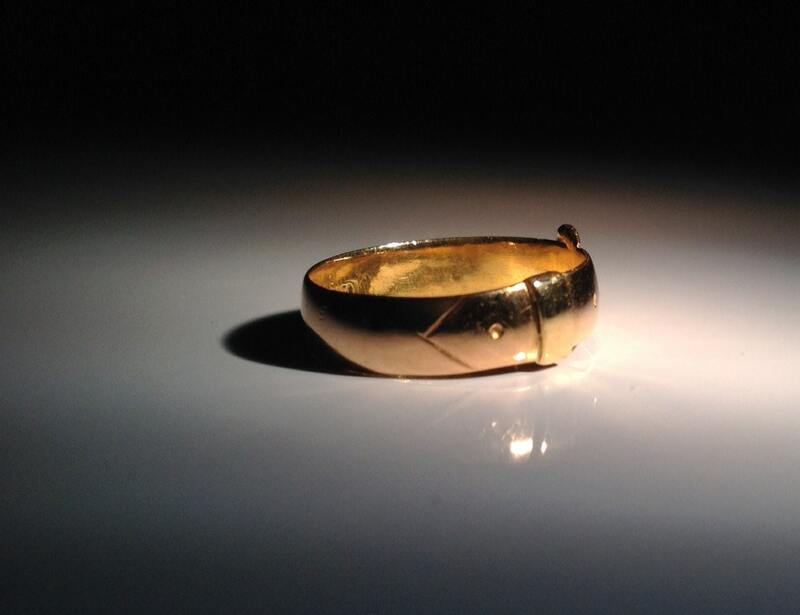 Ring is in great condition with light surface scratches and appropriate patina for age. 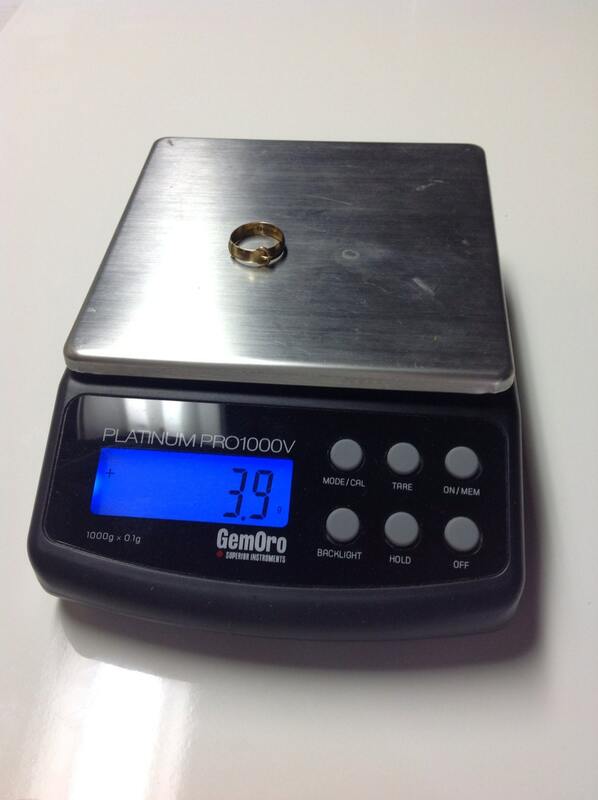 Ring weighs 3.9 grams and band is 5mm. Hallmarks are legible with modest wear, including maker mark (JG, Chester, 22 w/ crown for standard, date mark M, and an unknown mark). 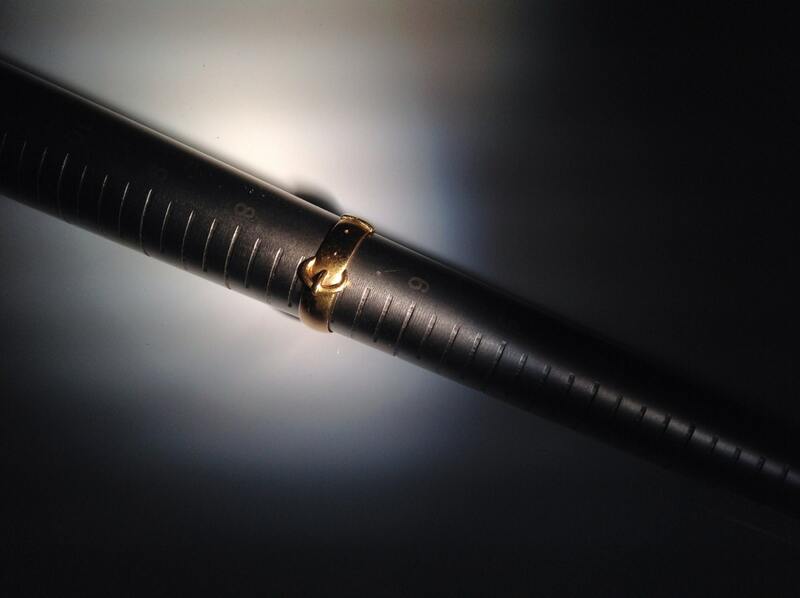 Great, well-made ring! Currently a size 7. 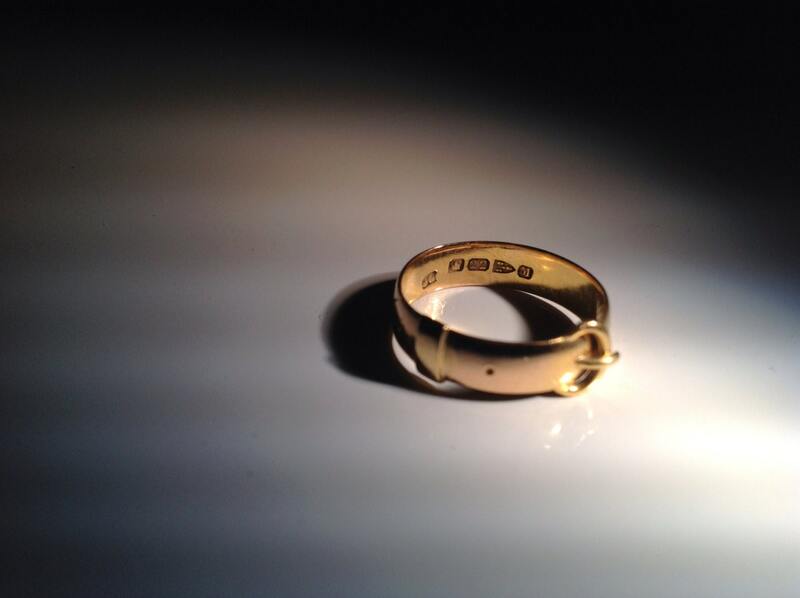 Sizing is available on this ring. It takes 1-2 weeks and typically costs $30-$50 to go up or down a couple of sizes. If you make a large change to a ring going up in size, price is more (for example a 6.5 to a 13.5 in a wide man's ring is $150). Convo to make arrangements.